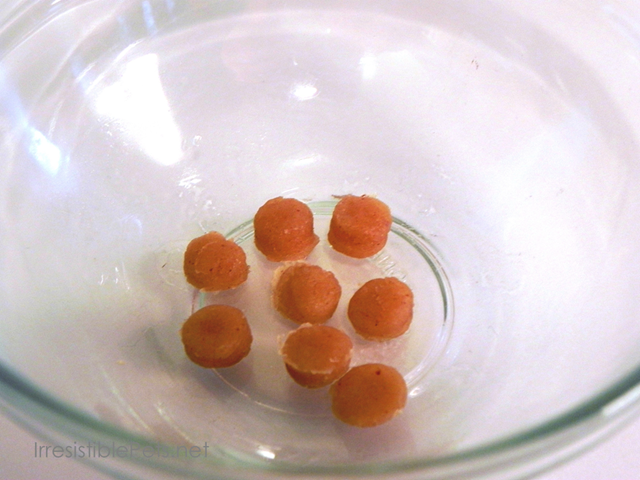 During the opening ceremonies of the 2012 Olympics, I showed you how to make these Olympic Ring chew toys for your dog. 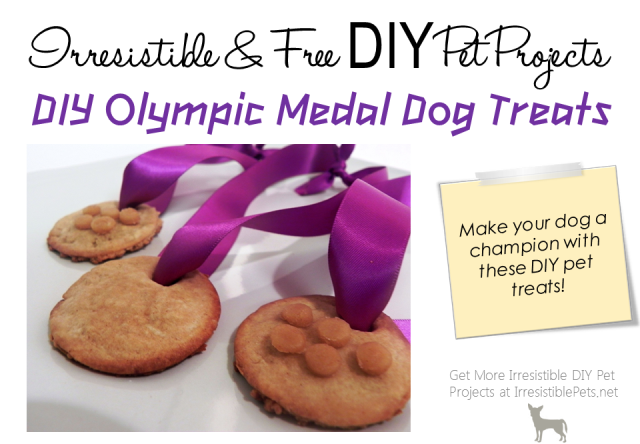 Now that the closing ceremonies are upon us this weekend, include your Irresistible Pets in the celebration with these Olympic Medal Dog Treats! These are perfect for anyone throwing an Olympic themed party that has dogs. Or, if you want to make them just because! They are really easy and shouldn’t cost you much, especially if you already have these basic ingredients in your kitchen! 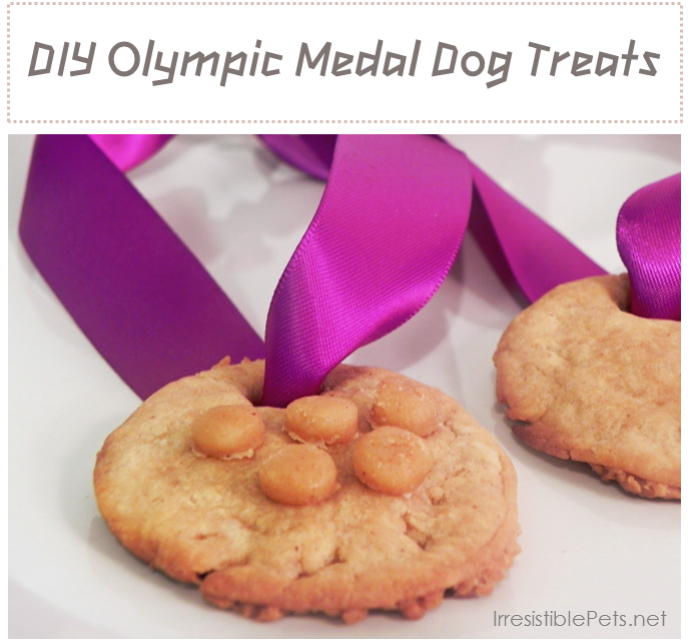 These instructions are based on the Olympic Medal Dog Treats that I created in this picture. If you want to learn more, keep reading! Disclosure: The ribbons are not meant to be edible. They are simply for display purposes only. I recommend cutting the ribbon before giving your pet the cookie to avoid them eating it by accident. 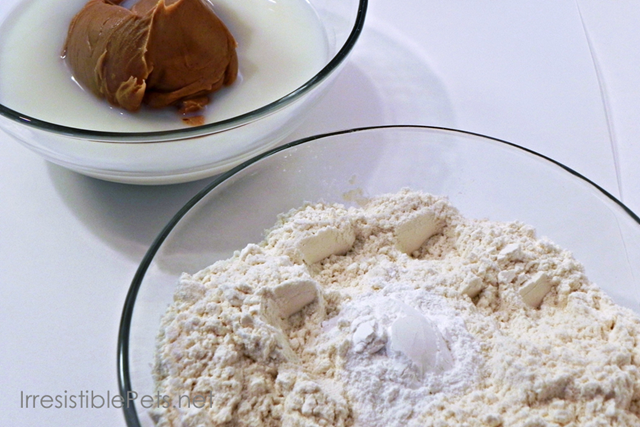 In a separate bowl, mix the peanut butter and milk. It may be easier to nuke the peanut butter in the microwave for a few seconds. Place the dough on a lightly floured surface and roll dough to desired thickness. 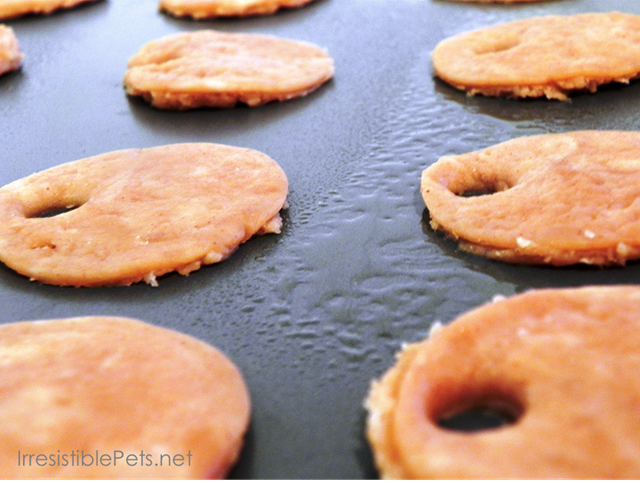 Use either a round cookie cutter or a cup to cut our circular cookies from the dough. 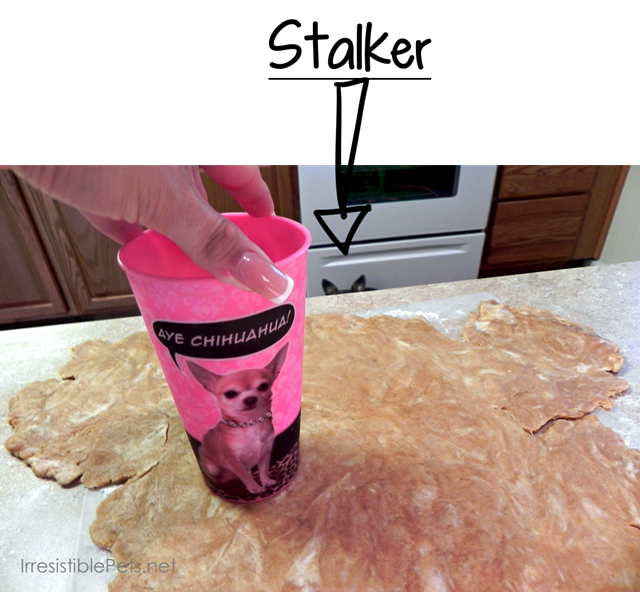 I used my favorite “Aye Chihuahua” cup….How appropriate! 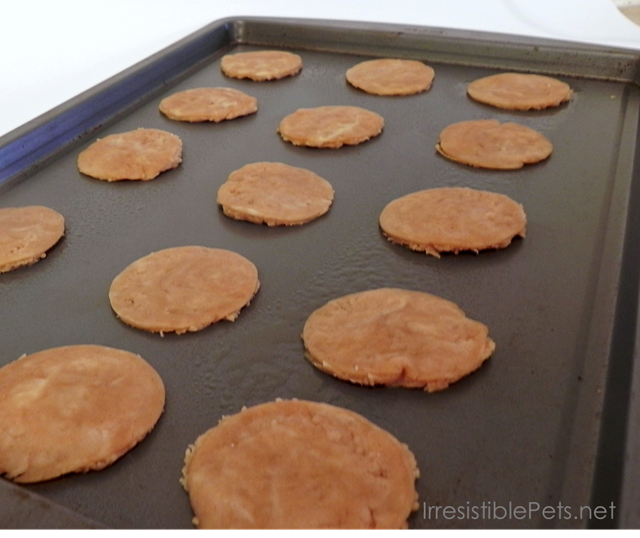 Place the cookies on a greased cookie sheet. 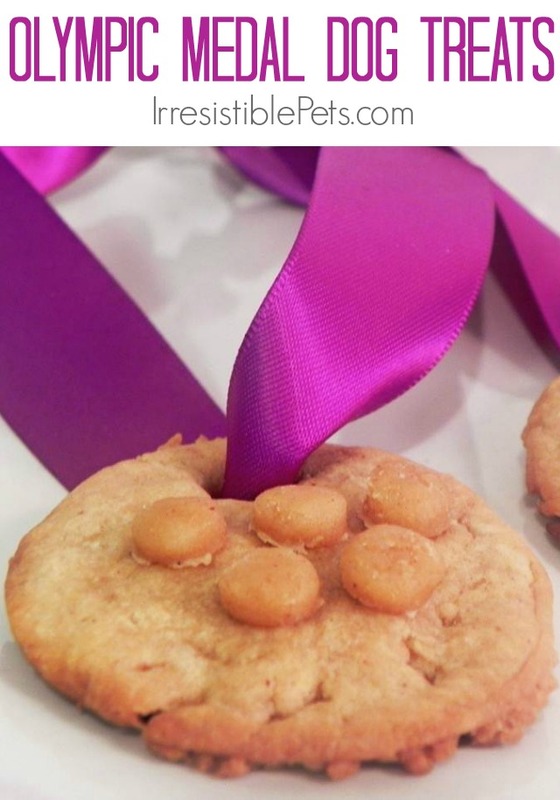 Using the cake decorator tip, push a hole through each cookie. 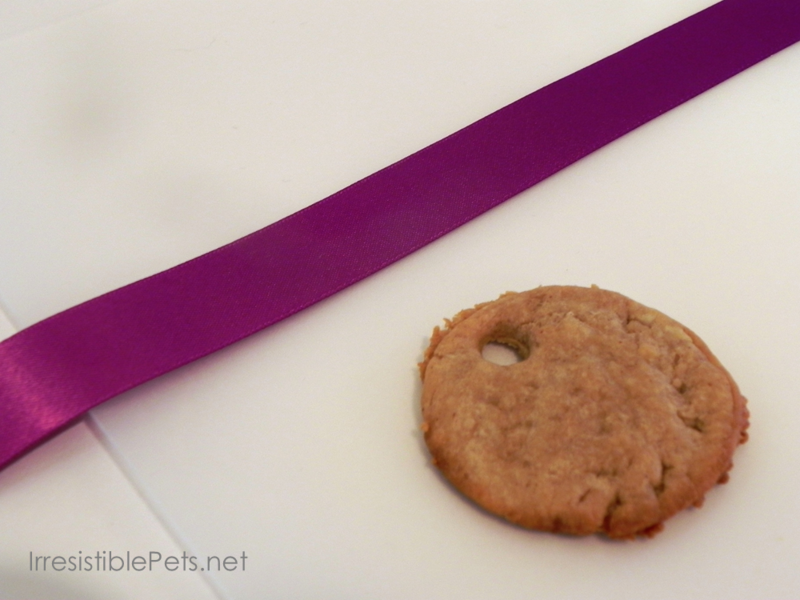 This is to string the ribbon once the cookies are done baking. TIP: If you don’t have a cake decorator tip, you can use a straw! Bake for 12-14 minutes. Keep an eye on them so that they don’t burn! 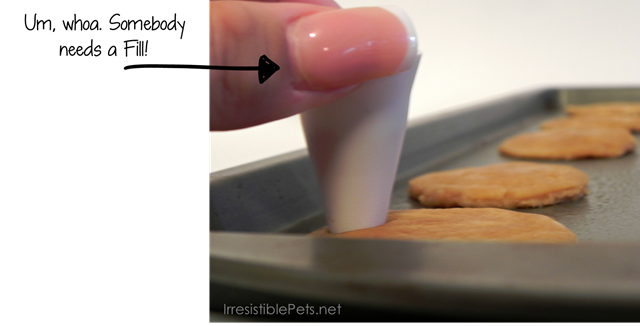 While your treats are baking in the oven, you can work on this step. Cut strips of ribbon to desired length. Decorate using the dots you cut out in part one. I used these to create the “Olympic Rings”. You can get creative here (just make sure it’s pet safe! NO Chocolate EVER!). If you do something different, leave a pic on my Facebook wall, so I can see! That’s it! 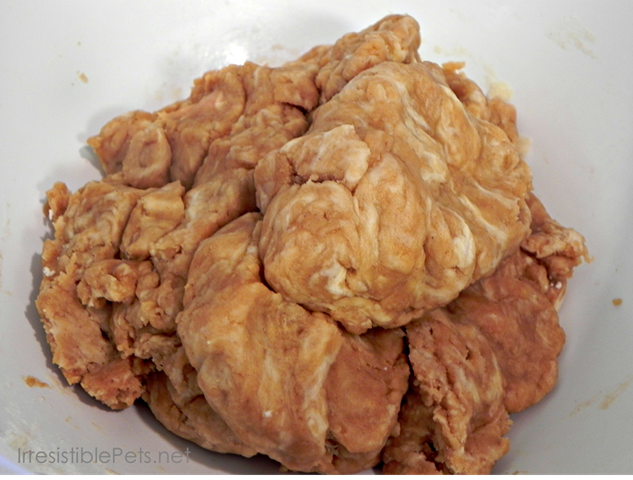 You’re done and ready to make your dog a gold medalist! Trying to get a decent pic of Chuy with these treats was nearly impossible! That’s how much he loved them. He was insane! 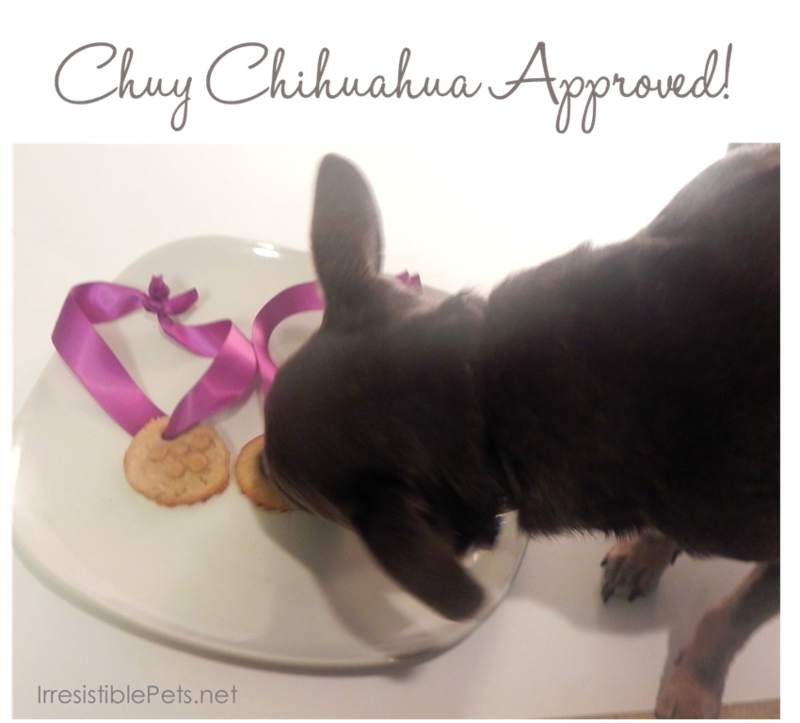 So, that goes without saying that they are Chuy Chihuahua Approved! Enjoy! Get more DIY Pet Projects on our gallery page. 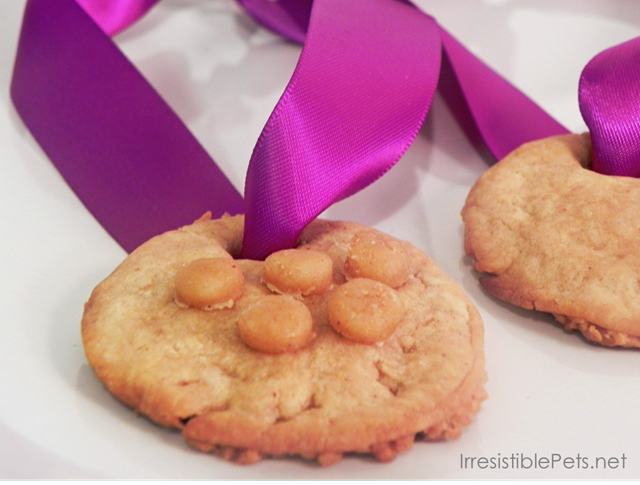 Great treats themed idea Mimi, I am sure pet lovers and their besties everywhere will go for the gold to have those irresistible treats. And LOL for the nail refill note. These sound good for me to eat!!! I will make these for my 3 dogs. I bet they like them. They are picky!! Thanks for the recipe! Chuy loved them! I hope your dogs do too!